The classic The Sims Pet Stories returns to the Mac, exclusively on the Mac App Store! 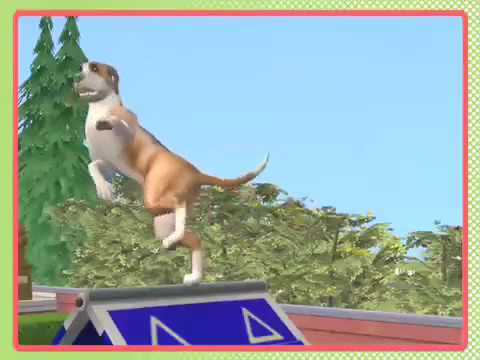 The Sims Pet Stories invites your Sims to care for and train loveable but unpredictable pets. Take on a variety of challenges as you compete for 1st place in a local pet show. Learn to tame a variety of pet personalities. You even unlock rewards along the way as you achieve set goals. © 2017 Electronic Arts Inc. Electronic Arts, EA, EA GAMES, the EA GAMES logo, Maxis and the Maxis logo are trademarks or registered trademarks of Electronic Arts Inc. in the U.S. and/or other countries. All Rights Reserved. EA GAMES™ and Maxis™ are Electronic Arts™ brands. Published and distributed by Aspyr Media, Inc. “Aspyr” and the Aspyr “star” logo are federally registered trademarks of Aspyr Media, Inc. Mac and the Mac logo are trademarks of Apple Computer, Inc., registered in the U.S. and other countries.